But perhaps some of the students are still having trouble understanding this problem. They might not understand the formula, or perhaps they never learned their multiplication tables well and can’t remember what 6 times 8 is. We would expect that the teacher goes through each step until every student understands how to get the answer. Someone with a background in math would recognize that this approach is just as correct, mathematically, as the first solution, but it is not nearly as appropriate to the audience. What good would teaching calculus to students in class four do, even if the math is right and we get the right answer? Would the teacher expect this to improve the students performance, or would this perhaps confuse them even further, and distract them from the fundamentals that prevented them from understanding the question to begin with? If the students have trouble with this simple problem, teaching them to solve it with calculus would likely result in hopelessly confused students who do not understand how to find the answer at all. This scenario may sound absurd, but it is unfortunately more or less the approach that many public schools have taken to improving student’s English. Most public schools, whether English medium or not, teach two English periods per day. One period often uses the government text, but the other uses a supplemental text, examples of which are Headway English, New Nepali Reader, Lotus English, or Harmony. Private schools, whose students are generally ahead of their public school peers in English, use similar texts, and the understanding among those who choose and write the textbooks seem to be that using similar curricula and materials to that of the private schools will create similar results. Thus, the texts at use at least half the time in public schools are frequently much more advanced than the corresponding government text. There seems to be a general consensus among public schools that the more advanced the material presented, the more students will learn. Unfortunately, creating unrealistic expectations for students does not improve the quality of their education. There are a variety of reasons that factor into the gap between the performance of students in private schools and those in public schools, but attempting to correct poor English by increasing the difficulty of the textbook is analogous to correcting poor math performance in class four by teaching them calculus. Frequently, these textbooks are so advanced that the majority of the material are too far above the level of the students’ understanding for anything useful to be learned. Rather than improving their English, the students gain nothing from the material presented, wasting the time that should be spent on creating a good, foundational understanding of English basics and fundamentals. Ones upon a time there live in tiger and deer. one day tiger was very hungry tigers look his lift side deer is going to drink and tiger eat that Deer. That of the old churl’s books he should/ have no need. Imagine the student who wrote the first writing sample reading this poem. Look at some of the words used, such as stall, devour, espy, churl. Not only are these words advanced and infrequently used in conversational English, but in the case of espy and churl the student might never encounter these words again until a Ph.D. program. So what is being taught here, aside from obscure vocabulary? There is no basic grammar construction being focused on, in fact much of the grammar is incorrect due to the flexible grammatical rules of poetry. As a teacher, there is no lesson to teach here, little to be practiced or taught that students will find useful, and nothing to engage them. There is little option for the teacher but to simply translate the poem into Nepali and have the students memorize the required vocabulary for the exam, all of which they are will likely to forget afterward; it is unlikely they will encounter, or they will have opportunity to use, any of these words again anytime soon. Unfortunately, this example is representative of many, if not most, of the supplemental texts at use in public school classrooms. Not only does this approach to learning actually result in students learning much less than they would with a simpler textbook, but there are a number of other more subtle, but equally damaging consequences. As most Nepali teachers will be able to tell you, Nepali students frequently find speaking English extremely difficult. It is not unusual to come across class ten students who, having studied English for six or seven years and who can read and even write proficiently, find it difficult to have a simple conversation in English. In part, this is a result of the student never having learned fundamentals properly. While their vocabulary is impressive, students are often never properly taught the basic grammar necessary for simple speech. Speaking in another language is difficult, even terrifying, for a language learner, and without confidence in simple structures and grammar students will never have confidence in speaking. When will class six students ever use espy or churl in a sentence when they need to communicate something? And why should they, when simple past tense and correct punctuation are still a struggle for them? But perhaps the most unfortunate result of these texts is that it removes the potential for fun from the classroom. Students do not and cannot enjoy learning material that they cannot understand, and when the text being taught is incomprehensible to them, how will they be able to take any interest in it, even if the story or passage has good content? Overly difficult material eliminates the possibility of games, activities, or creativity that engages the students, resulting in boring, dry lessons and a rote-learning approach in order to do well on the examinations. A good teacher will always be able to engage students with material that they already understand, but even a good teacher will struggle to make the incredibly advanced textbooks presented in the public school classroom interesting or fun. A good teacher can always make simple material challenging to the students by incorporating creative activities, more difficult vocabulary, or language production like writing and speaking, which are things teachers should be doing anyway. But it is much, much harder for a good teacher to make anything useful of the difficult and irrelevant content provided as textbooks in the public school classroom. It is true that public school students are often behind their private school peers, but there are many positive aspects to public school English education, not the least of which are fantastic government textbooks for class six, seven, and eight. If public school are serious about increasing the quality of education that their students receive, work needs to be put into making sure that students have a solid foundation in the fundamentals, especially at the lower secondary level. Only then will they be ready for more advanced materials. Without that, attempting to increase student’s English with the use of textbooks above their level is like teaching calculus to class four students who have trouble finding the area of a rectangle. * From the Author: My name is Kent Grosh, and I have been teaching here in Nepal in a public school for about nine months. It has been a wonderful experience; the students are enthusiastic and hard working, the teaching staff is dedicated and friendly, and there are many positive and encouraging things happening in the Nepali public school system that are often overlooked while lamenting the challenges at hand. However, in this article I’ve chosen to highlight one common approach in public school English educational curricula that I believe is in need of change, with the hope this article might inspire some teachers and school administrators to assess their schools textbooks and ask whether they are appropriate to the abilities of their students. Generalization of the theme of this article to all private schools may not be justifiable – that should be based on research work. However, what the writer has presented is based on her own experience so the slice of the case may be true. Exactly! Thanks a lot for such an article!! T: Why were you absent yesterday? S: Sir, I am not fine. T: YESTERDAY, why WERE you absent? S: Sir, I have a fever. I am not fine. T: You are not fine? You have a fever? T: If so, why are you here? Just get back and have a rest. That is almost the same dialogue I have experienced several times in my language class. They are not aware of even the time adverb and the basic stress which are supposed to be a part of the elementary level. And, the poem mentioned above as an example is wonderful in regard to words, structures, and meanings, but also several times weird not only to students but also to many teachers at the level. It, as I have felt personally, is just like A RIGHT THING IN A WRONG PLACE, SO THE RIGHT ONE IS WRONG. It seems that we have an amazing trend going on – TURNING A DEAF EAR! God knows when when our concerned TAILOR MASTERS would start to cut students’ COATS according to their CLOTHES. Anyway, let’s remain hopeful, keep doing something on our part and wait and see! Hi Kent, Thank you for writing this article. I spent five months in Nepal recently and came across the same lack of basic understanding that you describe. The people I spoke with were educated in private schools and I found the quality of English grammar in their textbooks quite deficient. I am curious what the quality of the textbooks are in public schools in subjects other than English. I would very much appreciate any information regarding this. Please send me an email if you don’t mind. Kent I am currently a Villanova student, class of 2016, and I am on campus. 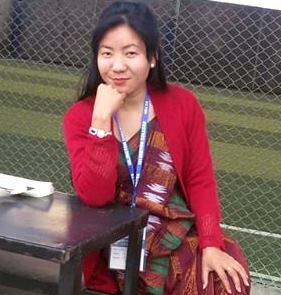 I am an international student, and I hail from Nepal. I would like to get in touch with you, if you don’t mind – maybe I can help you. Do reply. We are very pleased to know that you have something to post on the blogzine. However, the comment or query you have posted here seems incomplete and doesn’t indicate the purpose or any substantial sharing. We encourage you to post your reflection or your position on the issues raised in the blog entries. You can also write to us at neltachoutari@gmail.com if you are interested to submit your articles or narratives on ELT practices for publication on the blog. We are looking forward to receiving the contributions from our valued readers on Choutari.